I can't help but write more on Zion National Park in Utah. If you have ever been there you can understand how I could write 100 posts about the NP and still not cover it all. Recently, we had family come to visit us here in Utah. 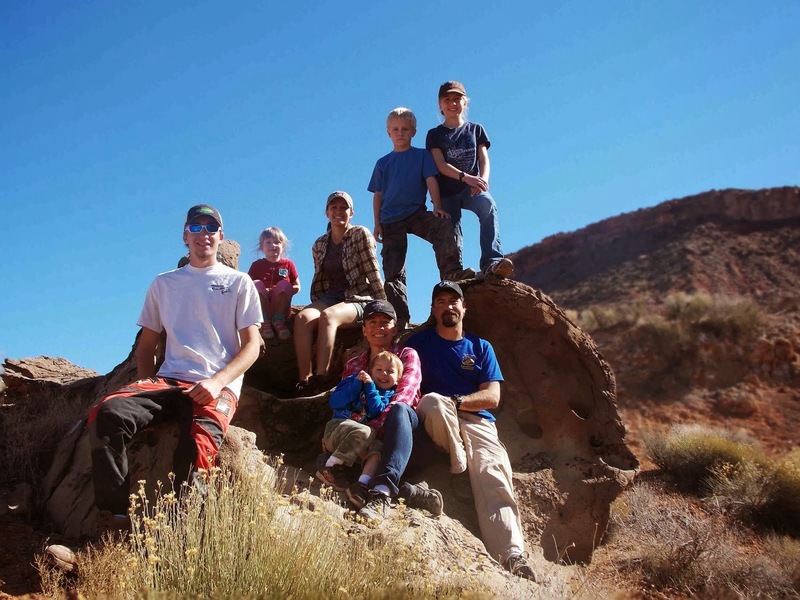 We all rented a time share in St. George and made a couple of trips to Zion NP. With 8 young children total - 4 mine and 4 theirs - the hiking was wild to say the least. While my husband and I and my brother-in-law tackled the trail to the Emerald Pools, my mother and sister-in-law and my two older children hiked from The Grotto on the Kayenta Trail to meet us at the Lower Emerald Pool. Children seemed to be darting in every direction and on every rock and tree root. 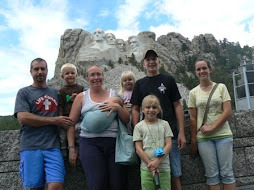 The family from Florida had never been anywhere like this so the kids enjoyed every possible adventure on this trail. I kept a watchful eye for mountain lions and snakes as well as attempted to keep a head count. This was a great trail for families. The kids have to be kept close and on the trail but there are not too many ledges and small cliffs that I couldn't bring the entire crew. The trail begins with a beautiful bridge over the Virgin River. The views of the canyon are stunning from the bridge. Gabriel slipped and fell on the wet rocks. We arrived at the Emerald Pools and the kids enjoyed the small waterfall to play in. 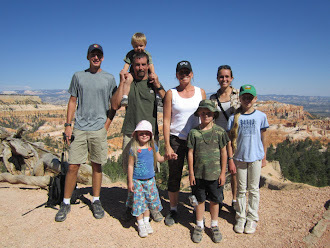 The rest of the family met up with us here and we all hiked back to the car together near the Zion Lodge. When little legs get tired - hop on pop! Cody joined us for the hike back. We made it back at sunset. To our surprise a small deer was wading through the Virgin River by the bridge. Pando and Fish Lake in Utah - a must see! Traveling through Utah brings more sights than we have time or money for. How can a state be so full of things to do? The National Parks alone have kept us busy yet, usually some of our favorite places are the ones that are off the beaten path; places that few go to. Pando and Fish lake are one of those places. Pando is just one those words our family loves to say. But what is the world is it? Pando is the largest known organism in the world and among the oldest. It is located on the shores of Fish Lake in Fish Lake National Forest. After seeing a segment about it on the Salt Lake City news we decided we had to go. We went after the Aspen tree leaves had fallen, which was a mistake. Pando is a grove of Aspens that cover 106 acres and has about 47,000 stems. If you have ever seen the Aspens change in the fall you can understand why I should have gone. The trees stretch up the surrounding mountains and valleys. With Fish Lake at an elevation of 8848 feet above sea level, what seems like hills overlooking the lake is actually tops of mountains. We may have missed the color change but we sure didn't miss the beauty. There were very few people there that day as our family hiked the trails among the trees and along the lake shore. No moose but some snow - enough for a snowball fight! We drove beyond the lake with the hopes of seeing some of the few moose that live there, but we couldn't find them. Imagine that in a huge National Forest? The serenity and grandness of the area made it one of my favorite locations. I'm hoping to go ice fishing there this winter. 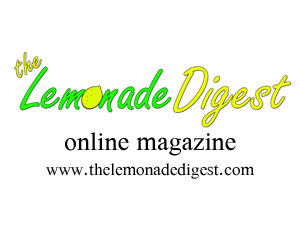 TLDTV - The Lemonade Digest TV at our online magazine. Check out this adaptation of The Night Before Christmas poem - re-written by my daughter, Hanna. The Desert Big Horn Sheep in Zion National Park were a sight that we looked forward to seeking out. While on a hike to the Canyon Overlook Trail, we spotted the awesome beasts deep in the crevice below. We watched them jump and climb around the cliffs and ledges. The next trip to Zion, we were shocked to see them hiking down the road, close to that same trail. They weren't in any hurry and seemed to enjoy stopping the traffic. I'm not sure what Ranger taught them to pose for pictures - but he or she deserves a raise! We have a rule in our family that if someone sees an unusual animal that we all get ice cream that night. These Desert Big Horn Sheep were definitely unique and exciting so we all enjoyed ice cream that night! Enjoying our Advent traditions all over the country. Traveling during the holidays brings endless choices and opportunities. There are new Christmas programs, lights, and sights in every new town. Last night carolers from the local Baptist church were so much fun to hear. They drove by all bundled up on a flat bed trailer pulled by a tractor. A car led the way and another car filled with children and a driver followed behind. We knew they might be coming. Another lady in the town had called us early that morning asking if we wanted to join them. With a house full of kids with colds and a really bad flu bug, I knew we could not join in the festivities. It was very disappointing for us all to not get to join them but then again, when we saw them pull up - half frozen - I didn't feel as bad. They sang a couple of songs and yelled, "Merry Christmas". Hanna made out with the cookie bowl just in time to give each caroler a cookie, even the tractor driver enjoyed one. I heard people saying, "The cookies are still warm!" Two little Christmas trees for fun. Then they were on their way, through the town, to bring a smile to other neighbors and friends. It will be interesting to see how people in the mountains of Utah celebrate the holidays. Most of the residents are Mormon, and sad to say, I don't really know what their Christmas beliefs are. So, we will learn about other religions this season along with celebrating the birth of our Savior. I just pulled up a map of the United States on Google. The options are endless! Where do we go next? We spent a lot of money on gas to get out to Utah. It was about $1100 in gas for our two vehicles to tow two trailers this far from Missouri. Now, we hope to wonder the west for a while. Utah alone has thousands of great places. It is always a labor of love to choose where to go next. We always pray first and then get the map out. Our time in the cabin ends January 31st. It is a cold time of year to head out. South or further west would be our only options so we will look in those directions. Since Shae and I are both military veterans, we have to go to a VA appointment every year and a half or so. Will we drive all the way back to Missouri for it or should we send him on a plane? A plane ticket would be much less than the gas money. It Sure Is A Nice Problem To Have! One of our favorite holiday traditions is Advent. Christmas is about the birth of Christ. For about a month before December 25th, people all over the world celebrate Advent with many different traditions. Do a search on the word Advent and you will get tons of information on it. 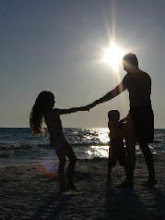 I want to share how our family celebrates Advent and I want to invite you to join us. Most people start celebrating Advent four Sundays before Christmas. Many churches do a special ceremony on Sunday to help people focus what it was like before the messiah came. It is a time of reflection and preparation for each individual as we remember the amazing gift sent to earth for us. Some years we start it on time, other years we are very late. This year we had family coming to visit so we decided to start about two weeks early. That way, if we miss nights we can still finish Christmas Eve or Day. Our family starts the night with Christmas carols. We usually only sing the first verse of the songs and sing them over and over again so the young children can learn them faster. The little ones tend to get discouraged if they don't know any of the songs or only a few. So, night after night we sing a few of the exact same songs and then add a few others to it. As the children get older we add more songs and a few verses. We even sing the songs through out the year so the younger children can learn them by Advent. After the songs, our oldest son read the scripture verse that goes with that particular night. Focus on the Family has a great schedule for this. We found a great booklet on their website this year. It is called Knowing Him By Name. It is a great addition to our Advent tradition. We just downloaded it and printed it up. It has activities included along with the scripture reading from the New Testament. We don't do all the activities, only the ones we have time for. At this point we try to remember to light the candles. If we light them too early they burn out way before Christmas. One year our Advent Log even started on fire! So, they only burn for part of the evening's festivities. Daddy then gets the Advent book and reads a chapter. This year we are reading Jotham's Journey: A Storybook for Advent . It is a story about a boy that deceives his family and ends up on a terrible and exciting adventure that eventually ends well even though there is drama, blood, a few scary parts, and swords - the end is amazing and wonderful. This book is part of a series that we cycle through. Each year we read one in the set. There are links below where you can purchase the books and other resources we use. While Daddy reads, the kids get one Christmas cookie, usually Spritz, to enjoy during the wild and suspenseful chapter of the night. Check out our website for the recipe. Kids of all ages, which we have, sit on the edge of their seats to hear what is going to happen each night. After the chapter is done, we try to remember to blow out the candles and then we pass around the prayer card bucket. We have cards with the names of friends and loved ones to pray for. When we have a house, we put in the Christmas cards we received and prayed for those people. My grandma always said she sent her card in November so she could get lots of prayer. This year we put pictures on the index cards along with the name of the person. Then I laminated them to help them last. Our kids love seeing the names and faces of who they are praying for. We don't get many Christmas cards since we went on the road. I guess we are hard to track down! This prayer time is so special. We pick around three cards each. We do a talk/prayer time. What I mean is that we talk to the kids about the person they chose to pray for. We tell them their needs and problems that they might pray for them. This helps the kids learn more about our loved ones as well as how to pray effectively for each other. My five year old is quite a prayer warrior. She has been praying for each of us this Advent season. We like to say, "She reads our mail." She will pray for us in such a sweet pure way and also isn't embarrassed to mention our sins and shortcomings. She prayed the other night for Daddy to not be so crazy - he does drive pretty wild on his ATV! One of my other children is more shy during prayer time. We do not scold or correct during this time. Any prayer offered is acceptable as long as it is said with love and respect. No matter how short and sweet the prayer is, it is perfect. Lastly, we take turns who gets to blow out the candles. It is either boys or girls. If it is boys night, one son gets to light them and the others get to blow them out. Same thing on girls night. Advent is our favorite holiday tradition all year. We all look forward to and can hardly wait to start and are sad when it ends. Please join us this year and every year and make your holiday season more special and memorable for the entire family. Even though Advent started last week, jump in and start now. Just double up a few nights and you will be caught up, or go a week over and take your time. One year we didn't finish until the end of January because we had so many good distractions! There are no set rules - just make it your own.